Coffee Almond Layer Cake is a special coffee cake recipe with rich almond and caramel 1.5 pound cake. Presented in a beautiful gift box. Sure to be impressed. Free delivery in Bangkok and surrounding area. 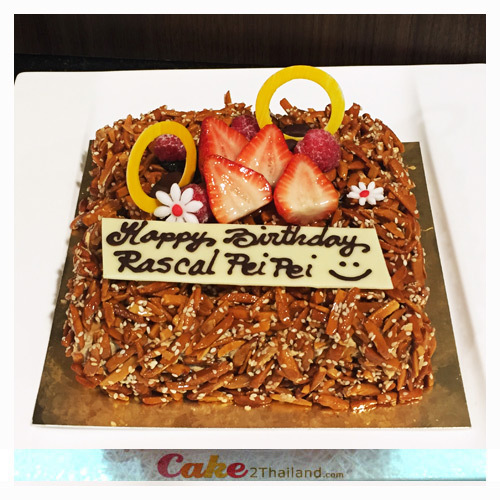 - Coffee Almond Layer cake is Only delivery in Bangkok.